A solid dark colour, fruits and scpices in the mouth. The after taste has a nice length. Rather something you would like for heavy christmas and thanksgiving dinners. The origin of this XO Jule Cognac from Jon Bertelsen is the Fins Bois terroir, made from 100% Ugni Blanc grapes. It comes in a 70 cl bottle. No additives, nor chill filtration. Jon Bertelsen Cognac is a young modern cognac founded in 1999, which has at its core philosophy to stay true to nature's gifts and qualities. It is produced without additives or chillfiltration, using organic grapes from the Fins Bois region. Each vintage is kept pure and never gets blended, respecting every year's harvest and its weather conditions. Jon Bertelsen's secret is the quality of the wine, which, thanks to its extremely deep roots is very strong in aroma and character. 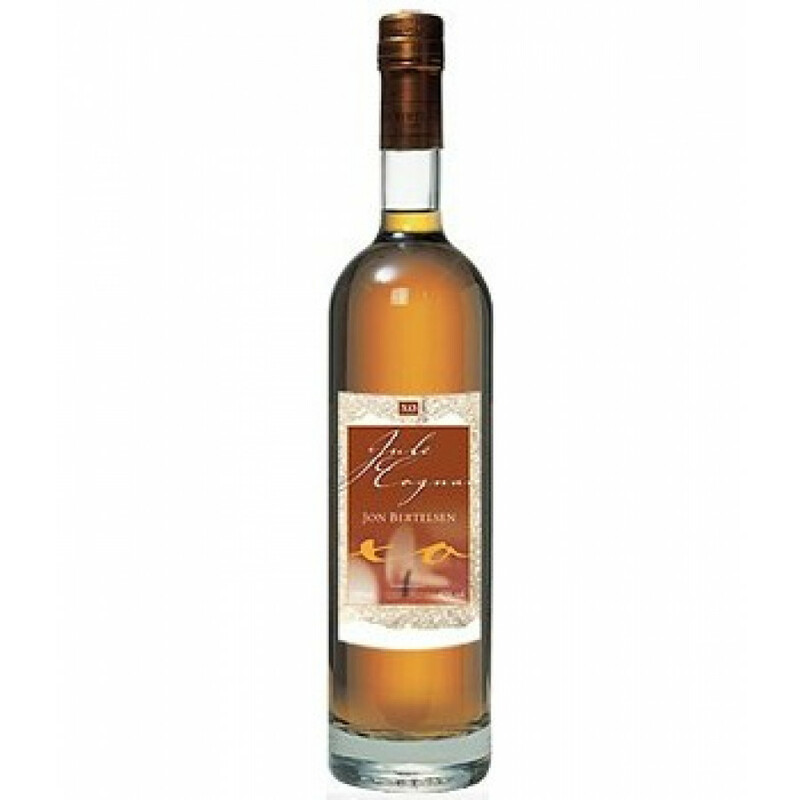 The wine allows the cognac house to produce an exquisite cognac, ranging from a VSOP to vintage bottles. The colour is pale golden, on the nose slightly bitter but in an enjoyable way. Hints of almond and nuts, the taste is dominated by fruit notes such as citrus, apricot, lemon, and orange.